Anna- Mae is an amazing person. She has been a member of the Silverton Pony Club for a number of years but then decided to do more competitive riding and has been selected for the GB Para Dressage Squad. 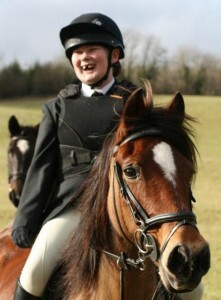 She gave a most impressive dressage display to all the Pony Club members at our camp in the summer. As a result of this a number of members were moved by her life experiences and asked to raise money for a charity chosen by her. 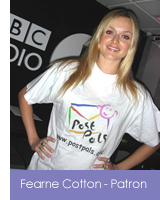 When I suggested this to her, she chose to support Post Pals – a charity which has supported her over the years. We had some very generous donations – a days racing at Newton Abbot Races, a dressage lesson, NAF products, days racing at Exeter Racecourse, vouchers for Countrywide Stores etc. We raised a total of £90 and this is being sent to the charity. We are delighted to have supported Post Pals, the more I read about them the more they deserve support – and ours is a mere drop in an ocean. 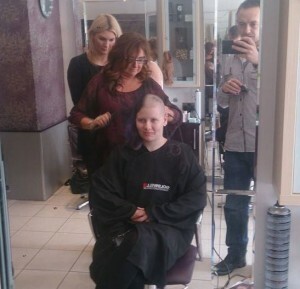 On the 27th March, our brave volunteer, Sarah Marshall, had her head shaved to raise money for Post Pals. 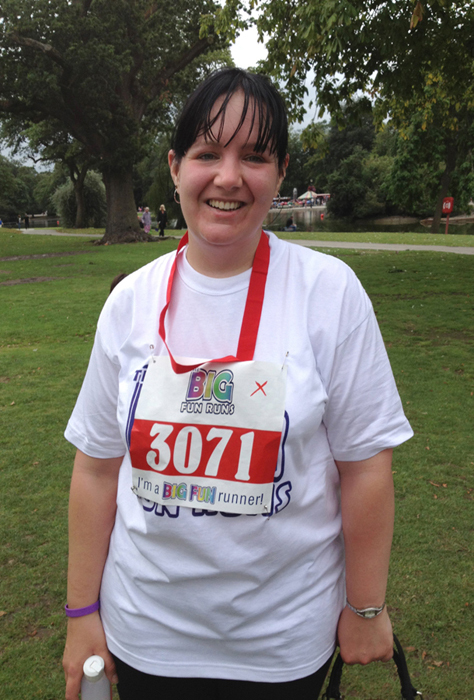 Money is still coming in, but to date Sarah has raised a fantastic £427! Shebbear College hosted a hugely successful Wine & Wisdom night on Saturday, March 22nd. 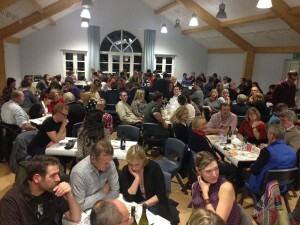 Nearly 150 people attended the event in North Devon, and apart from brain-bending questions, copious amounts of wine being drunk and laughs all round, £812 was raised for Post Pals! This figure will be increased to £1500, following a joint donation from the ‘Free Kieron’ fund. ‘Free Kieron’ was set up after a former pupil of Shebbear College was imprisoned in Russia, at the end of 2013. As a video journalist, Kieron Bryan was working alongside Greenpeace who were protesting oil drilling in the Arctic. Their ship The Arctic Sunrise, was seized and he was jailed for two months along with the rest of the group, who became known as the ‘Arctic 30.’ During that time the local community and his old school raised money to help support his legal case. One of Kieron’s former school-mates, Graham Moore, defied his doctors and joined a protest to free the Arctic 30, held outside the Russian Embassy in October last year. Graham was undergoing treatment for cancer at the time, and his amazing show of support and compassion affected the Bryan family so much that they decided to help support a charity of Graham’s choice. He chose Post Pals, and it’s because of Graham’s heroic efforts that the Wine and Wisdom was organised. The Shebbear community and the Bryan family are delighted to be able to give to such an amazing charity. On 29th June 2013 one of our dedicated volunteers, Adam York, walked from Charing Cross Station in London to our 10th Annual Party in Effingham, Surrey. He set off early that morning and walked a total distance of 23.3 miles (that’s 2.1 miles further than he walked last year). He took in the sights of London as he went, walking via Downing Street, Big Ben and then along the Thames to Battersea power station before making his way to join the party at St. Lawrence’s church hall. His walk raised an amazing £578 for Post Pals. Well Done Adam! 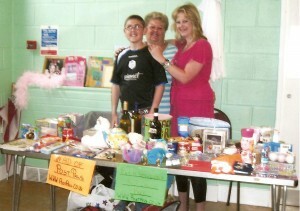 On the 2nd February, Kerry held another fundraising stall for us at her craft fair. She wanted to help raise funds for our upcoming party this summer. 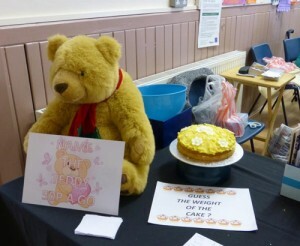 As well as selling her handmade cards and gifts, she did a raffle with her daughter and a ‘name the teddy’ for us. 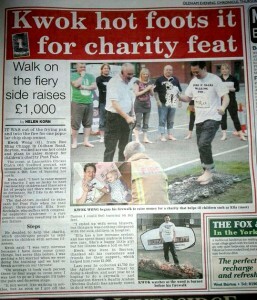 A total of £130 was raised!! This was so successful that Kerry decided to hold yet another event at the start of March! Once again, she sold her handmade cards and gifts, did a ‘name the teddy’ game, and also baked a cake for a ‘guess the weight of the cake’ game. 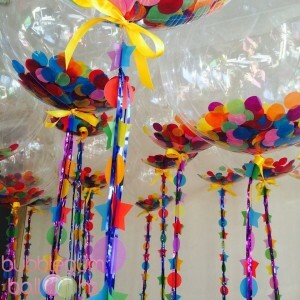 What another great idea for a fundraiser and a total of £90 was achieved! Well done Kerry! Kerry from ‘Kerry’s card kreations’ makes and sends lots of cards to Pals. 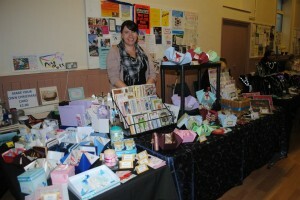 At the end of November 2012, she held a Christmas craft fayre and donated the £45 she raised to Post Pals. Thank you Kerry! 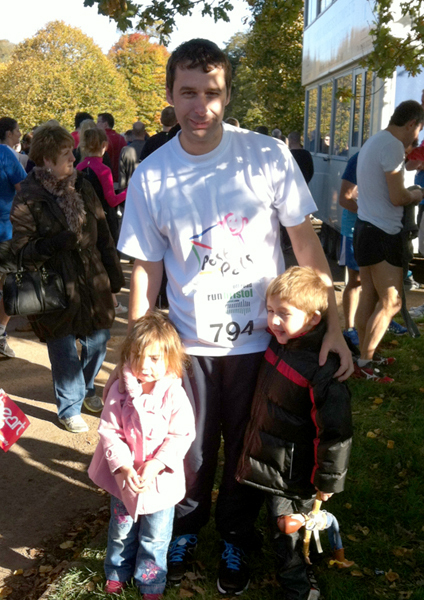 On 27th October 2012, Gary Hatch kindly ran his first 10k run to raise money for Post Pals. 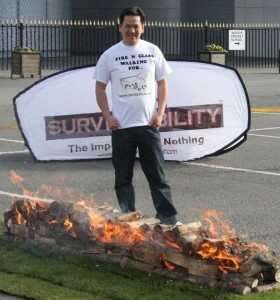 He completely the race in 1 hour and 1 minute and with it he raised £138.50 for us – well done Gary!! Post Pals volunteer, Rebecca Willetts, ran her first 5K event for us on the 19th August 2012 and did a great job raising £191. 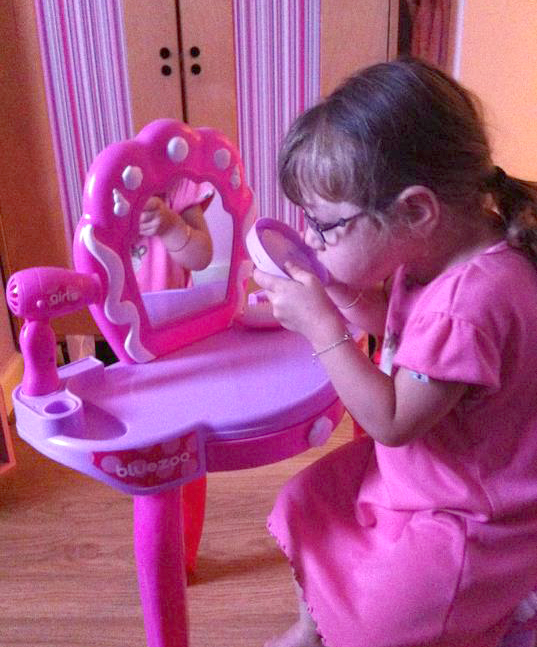 This will enable us to create lots of smiles! Gary contacted us after he set himself the challenge of cycling from his home on the Isle of Dogs, London, to Liverpool FC’s ground, Anfield, for the Europa League qualifier game on Thursday 9th August 2012. It was a trip of approximately 270 miles and he wanted to raise money for Post Pals. We were thrilled! 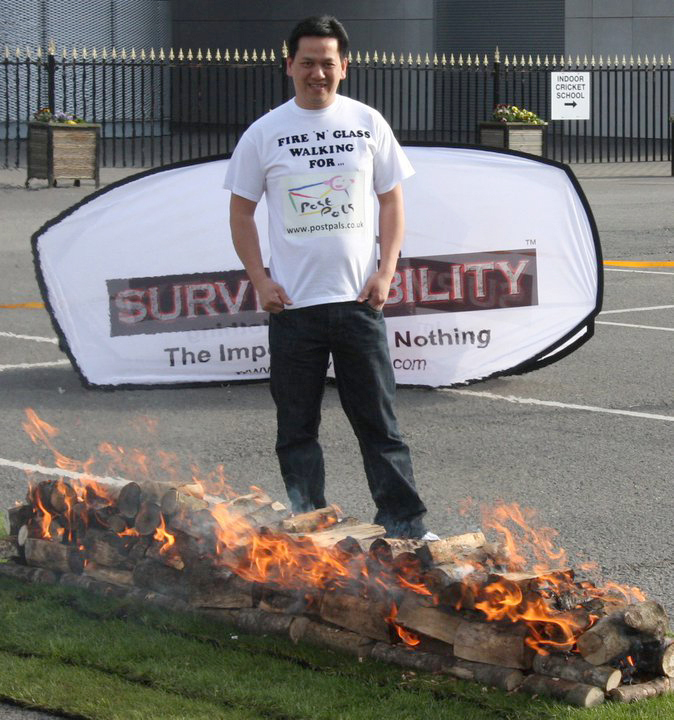 Gary was successful in his challenge and managed to raise over £1,500 for us! 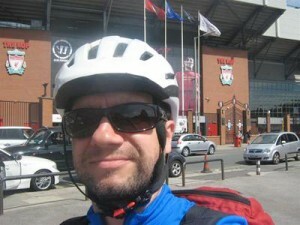 Here he is reaching Anfield. 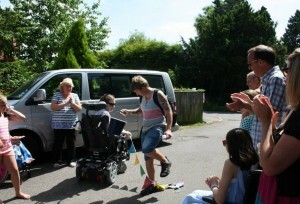 On June 30th 2012 Adam walked from his home in Kent to the Post Pals annual party in Surrey, which is 21 miles! 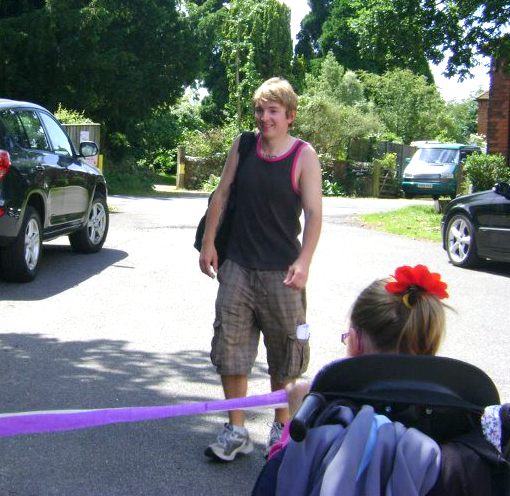 He raised over £280 for us and received more donations at the party when he arrived and crossed the finishing line! 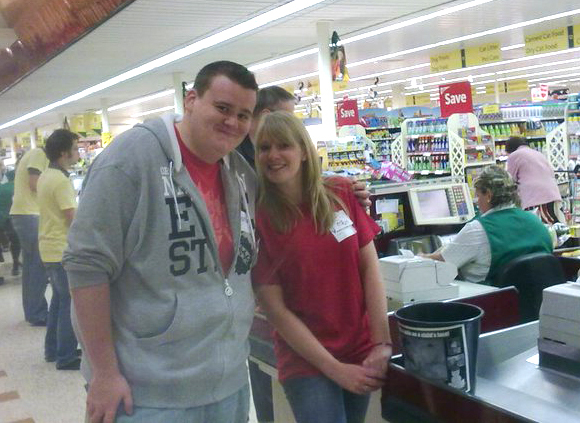 Greg contacted us to say he would like to organise a bag pack (spending a day in a supermarket and helping people pack their bags in return for a donation). He got his friends involved but felt he didn’t have enough people so we put an appeal out on Facebook for local volunteers and lots of people turned up to help pack bags. The day was successful and the buckets seemed heavy, but when it was all counted up it turned out the day was very successful – they had raised £800 in one day!! Bag packs require very little organisation, just permission for the supermarket, buckets (we can provide them) and people willing to give up a few hours of their time. We can also help to find some volunteers in your area who might be able to help. 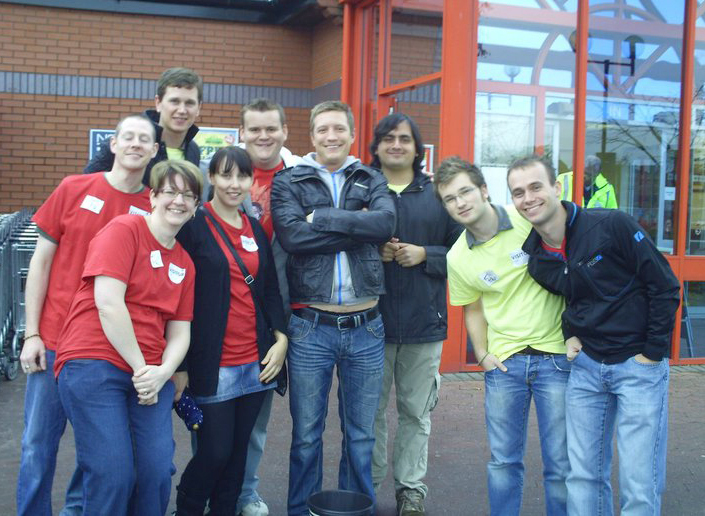 A big thank you to all the bag packers and generous shoppers – the £850 created a huge amount of smiles. Greg and his fellow bag packers! 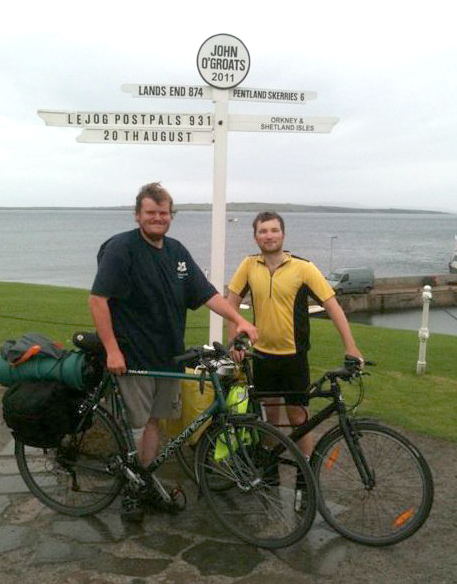 Greg also contacted us saying he would like to take on the huge challenge of cycling from Landsend to John O’Groats for Post Pals – that’s over a whopping 800 miles! They called it ‘many miles for smiles’ which is a brilliant name as they certainly raised a lot of smiles! They took Dottie the Dalmatian with them and she helped them peddle (or so Dottie claims in the letter she sent to the Pals about her cycling trip). The ride went smoothly and they made it there in good time. Thank you to Greg and his fellow cyclists and supporters. They raised over £800! Kwok decided he wanted to fundraise for us after meeting our Pal Ella C. He said Ella was so brave so he would do something brave too… and brave it was! 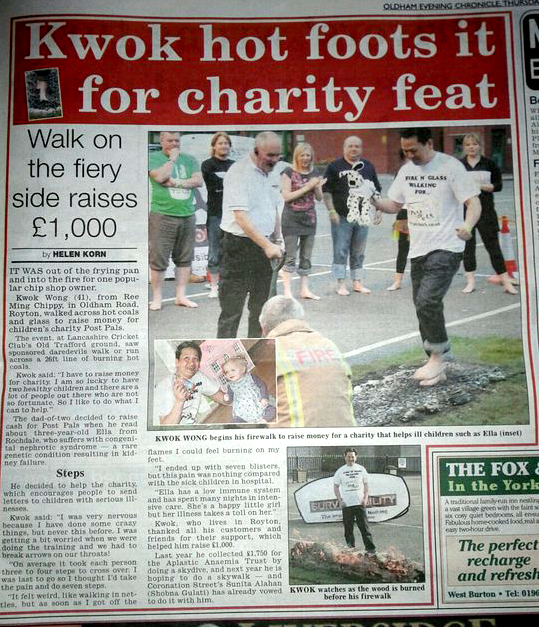 Kwok did a sponsored walk for us… with bare feet over burning coals! He took Dottie the Dalmatian over the hot coals with him but she was too scared to put her paws down. Kwok made it across to the bliss of cool water on the other side and suffered only one blister. The amount raised will help children like Pals Tie and Calvin who suffer severe blisters all over their body at the slightest touch including under their eye lids, in their throats, and every area of their skin. Tie sometimes asks his mummy to ‘pop my bubble’ (blister) and points to his tummy, but the blisters are inside his bowel. Post really helps both Tie and Ella when they are having bad days and feeling down, so thank you to Kwok for enabling us to make the Pals smile. Jon Paul has held frequent fundraising events for Post Pals over the years, often planning things in hospital and persuading his doctors to let him out to hold the events. He has refereed football matches between doctors and physios, run tombolas at local events and raffles in church halls. The amounts he raised all adds up and at his last fundraiser he raised £30. We had found some beautiful dressing table sets which had 70% off and Jon Paul’s fundraiser funded two of the dressing table sets, one for Poppy H and her sister Coral and one for Phoebe M.
Here is Jon Paul with his mum Jill and Rachel (Mum to memorial Pal Rebecca L) holding a stall for us. And here is Phoebe enjoying her dressing table. The Thanet Festival Choir held a carol concert with a collection for Post Pals. Eleanor G’s Mum was there to support and said a few words about Post Pals. Eleanor G and her family have also raised over £450 for us through all their fundraising efforts. 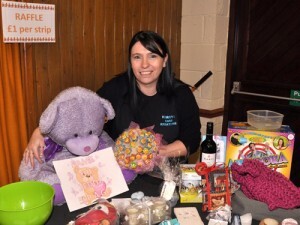 Laura Natalie Mitchell held a fundraiser in Eastbourne and along with an online auction of fantastic goodies up for grabs, over £1000 was raised in September 2011. A big thank you to Laura and all those who supported the event and organised the online auction. Shelley Garlington and her helpers Sally Wrenn, Oliver Smith, Shelly Radford, Angie Williams, Denise Cannadine and Lucy Rodrigues, raised over £360 for us at a Family Fun Day. We’d also like to say a very big well done to Holly Scott-Gardner who raised over £350 for us by jumping out of a plane(! ), a thank you to some of the pupils at St Augustines School, Scarborough, who raised £50 for us from a cake sale, thanks to Oldham Hulme Grammar School for raising £100 for us and to welplan for raising £268.